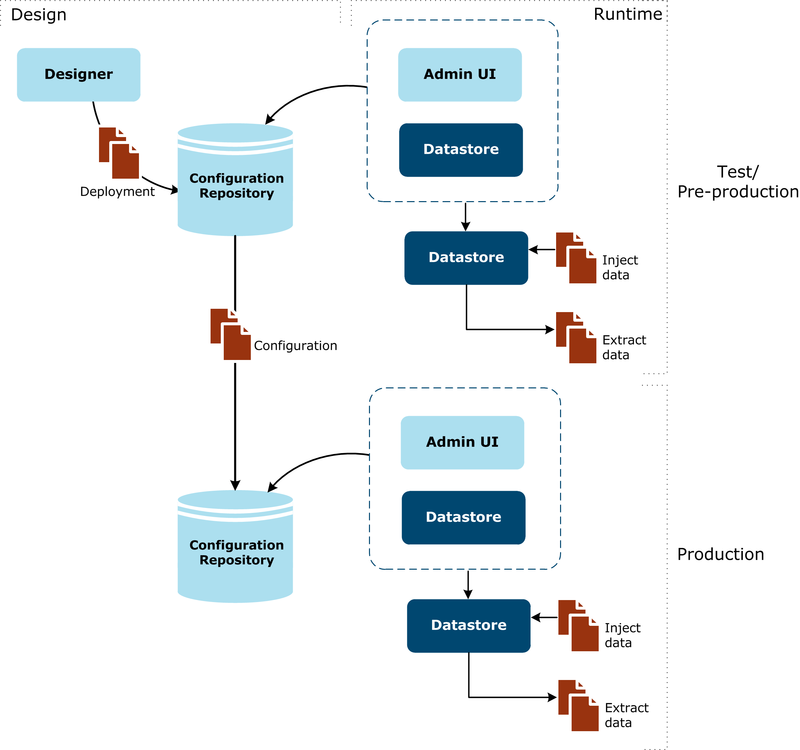 You use the full deployment to deploy a validated configuration release to a new environment. 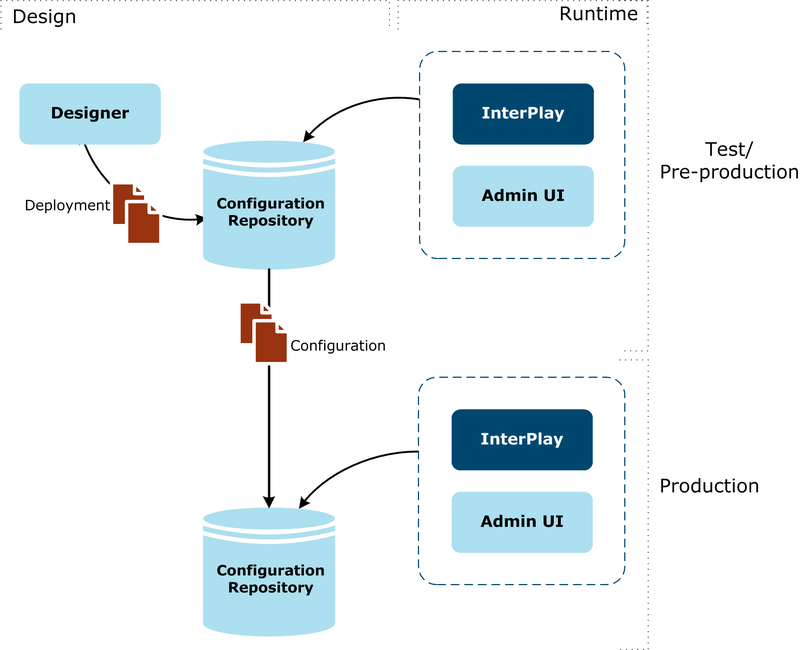 Using the Repository createDeploymentPackage script, the administrator generates a configuration package with all the configuration objects. The package is generated per application and contains the formats, dictionaries, settings, libraries, datasources and report templates deployed associated to the application. The administrator copies the deployment package to the target environment. The administrator uses the Configuration API scripts to import the deployment package to the target Repository instance. The administrator uses the configuration REST service to update the configuration version used by the target instance. For more information, refer to Configuration. (*)Distinct : within each space, property types are considered as distinct when their name or their type are different.